Mom's Musings: $300 Paypal Cash For Valentines Day? Cupid's Cash is Here!! $300 Paypal Cash For Valentines Day? Cupid's Cash is Here!! 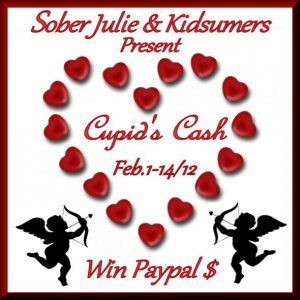 Welcome to the Cupid's Cash Giveaway Event! 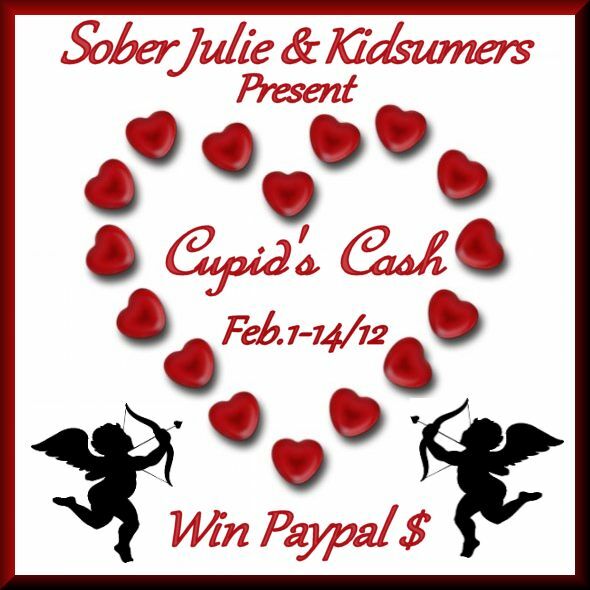 Kidsumers and Sober Julie Doing Life have partnered up with lots of different and wonderful bloggers to bring you a fabulous prize, just in time for the Valentines Day! The prize is $300 USD in Paypal Cash!!! Giveaway starts February 1st at 12:01 AM EST to February 14th at 12:01 AM EST. Giveaway winners will be announced through the Rafflecopter widget and notified by email by the end of the day on February 17th, 2011. Winners must reply to email notification within 48 hours of delivery, or a new winner will be chosen.